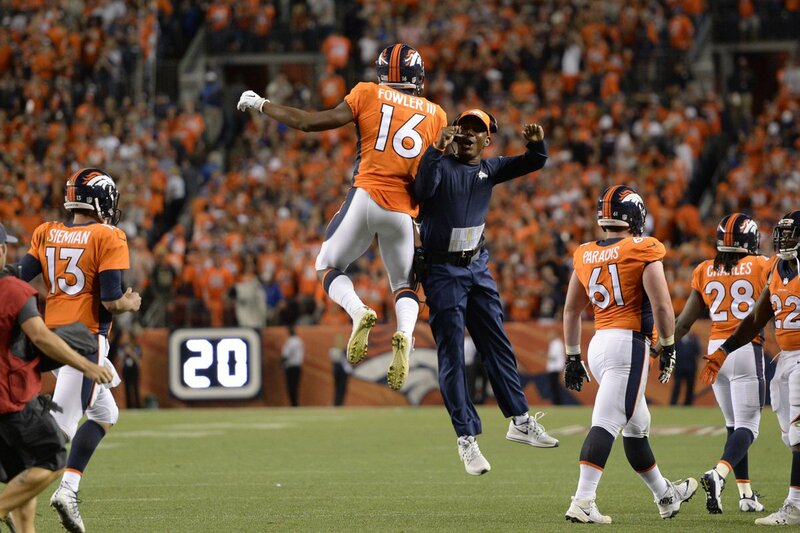 Monday Night Football Recap: Nothing Like A Doubleheader To Start The Season! The NFL likes to start the season off with a bang; hence the defending Super Bowl champions kicking the season off on Thursday night and ending it with a pair of games on Monday Night Football. After a great day of action on Sunday, the two Monday night games had a lot to live up to. Could they cap off Week One of the 2017 season in style? If you ask fans of the Minnesota Vikings and Denver Broncos, the answer is probably yes. Don’t bother asking fans of the New Orleans Saints and Los Angeles Chargers. This was a game we need to see every now and then. Why? Because it reminded us of a fact that can be easy to forget. Whatever we see during the preseason means nothing. After watching their team’s preseason games, fans of the Saints may have started to believe that their team finally had a defense. They didn’t just look good. They looked really good. Their defense looked so good that it was easy to believe their preseason success would bleed over into the regular season. But it didn’t—at least not in Week One on Monday night. Sam Bradford looked like an All-Pro against the Saints secondary completing 27 of 32 passes for 346 yards and three touchdowns. Adam Thielen (nine receptions for 157 yards) and Stefon Diggs (seven receptions for 93 yards and two touchdowns) each had great nights. Rookie running back Dalvin Cook made it easy to say, “Adrian who?” with a 137-yard day (127 rushing, 10 receiving). As for the defensive play, it may look like the Vikings were carved up a little bit with Drew Brees nearly throwing for 300 yards (27-37 for 291 yards and a touchdown). But much of it came in garbage time in the fourth quarter. 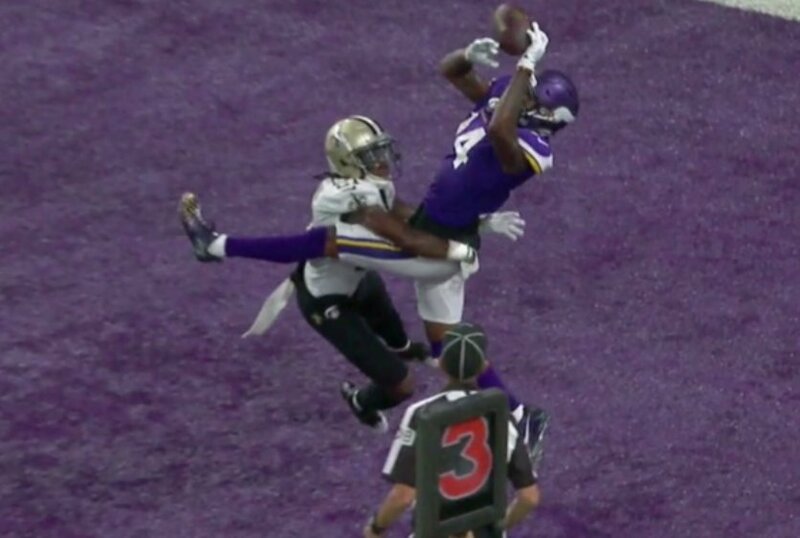 Minnesota’s defense forced the Saints to settle for four field goals, three of which came with the Saints inside the ten-yard line. The defense also held their former running back, Adrian Peterson to just 18 yards on six carries. The Vikings will have a tougher challenge on their hands next Sunday when they travel to Pittsburgh (kickoff at 1 PM ET). New Orleans will not have an easy one either with the New England Patriots coming to town (kickoff at 1 PM ET on Sunday). The only problem with a doubleheader on Monday Night Football is that for fans not on the West Coast, it means staying up pretty late. You want to see the end of the game, of course. But for those who have to get the kids off to school or have to get to work in the morning, it’s too late. With how the Denver defense had been dominating Phillip Rivers and the Chargers offense, this one appeared over. That is, as long as the Broncos didn’t make any stupid mistakes. You know, like commit a couple turnovers and give the Chargers a short field. The first was an interception that resulted in a five-yard touchdown pass to Keenan Allen six plays later. Two plays into the next Denver drive, the Chargers recovered a Jamaal Charles fumble. This time it only took one play— a 38-yard pass to Travis Benjamin — to get in the end zone. Just like that, a game that appeared to be over had become close. With 7:00 left to play, anyone could win. 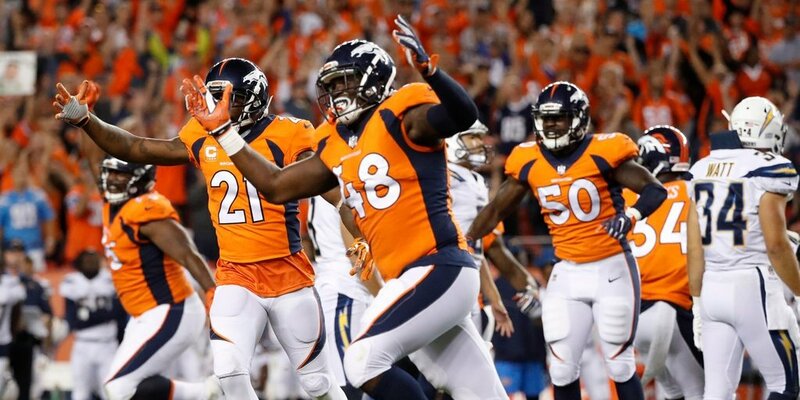 “The game was in firm control for about three quarters there, and we felt good, but you turn the ball over twice on the short side of the 50, it’s going to be a problem with Philip Rivers,” Broncos head coach Vance Joseph said after the game (ESPN). San Diego had a chance to tie the game up late with a last second field goal. But Younghoe Koo’s attempt (which was good) didn’t count because the Broncos had called time out. The second was blocked by Shelby Harris. Uo next for the Chargers is a home game against the Miami Dolphins (kickoff at 4:05 PM ET). Denver will head to Dallas to face the Cowboys (kickoff at 4:25 PM ET).